Buy 1 for $20.04Buy 2 / Save $1.07!Buy 3 / Save $4.01! Traditionally, Periwinkle can be used to help support a variety of complaints. Native Indians used the juice from Periwinkle leaves to help support wasp stings. Hawaiians boiled the plant to make a poultice to help support bleeding. In China, and Central and South America, it can be used as an astringent and diuretic. They also used it to help support symptoms of coughs, lung congestion, inflammation and sore throat. In the Caribbean, an extract from the flowers was used to make a solution to help supporteye irritation and infections. The Europeans used Periwinkle as a folk supportive for helping support healthy blood sugar levels, but they also called it the magic plant, because they thought it could ward off evil spirits. The French called it the "violet of the sorcerers." Rosy Periwinkle produces 70 known alkaloids, some of which can be used for the potential to help support symptoms of childhood immunity, lymphatic system issues, testicular health issues and immunity deficiencies. Taken as a daily supplement, it improves the blood supply to the brain, can increase oxygen and glucose for the brain to use, can help avoid abnormal coagulation of blood, and it raises brain levels of the neurotransmitter serotonin. Externally, Rosy Periwinkle leaves poultices can be used to help support wasp stings and eye inflammation, and to help support bleeding. Ointments can be used externally as well. Vinpocetine is a chemical substance synthesized from vincamine, a natural constituent found in the leaves of Vinca minor (lesser periwinkle). Vinpocetine appears to have antioxidant, blood flow enhancing, and other effects that may be beneficial to brain function. Research, primarily in Europe, has investigated these possible benefits in people with memory disorders (dementias) and people who have suffered strokes. Vinpocetine is not an essential nutrient, so no deficiencies are possible, however, when given by intravenous injection, Vinpocetine has been reported to improve some biochemical measures of brain function in stroke patients. A controlled trial found intravenous vinpocetine given within 72 hours of a stroke reduced some of the losses in brain function that typically follow a stroke. Both the flower and root of Primrose can be used to support health, and have a variety of uses in traditional health. The flower serves as a herb that can be used for headache, nerve pain, and tremors, and can be used as a "heart tonic" for sensations of dizziness and cardiac insufficiency. Primrose root is taken for whooping cough, asthma, gout, and nerve pain. The German Commission E Monographs, the bible of clinically-established herbal information, concluded that primrose flower is an effective product for catarrhs of the respiratory tract. They also confirm its widely touted ability as a secretolytic and expectorant. The gamma-linolenic acid (GLA) in Evening Primrose Oil also reduces the stickiness of blood-clotting agents and helps reduce clots from developing. Evening primrose oil (EPO), comes from the seeds of the evening primrose plant. Like black currant seed oil and borage oil, EPO contains gamma linolenic acid (GLA), a fatty acid that the body converts to a hormone-like substance called prostaglandin E1 (PGE1). In a study of 79 patients who took a dose of 4 grams of the product a day, serum cholesterol was lowered by 31 percent. There are several preliminary unpublished studies in obese individuals that shows that Primrose Oil may support healthy blood pressure levels. Further, there are studies that show it has lowered plasma platelet aggregation, thus reducing the risk factor for heart health issues and stroke. Garlic is a powerful anti-bacterial - it is also anti-viral and anti-fungal. It detoxifies the body and supports all body functions, especially the immune system. Garlic purifies the blood, strengthens blood vessels and lowers blood pressure. It aids in the support for arteriosclerosis, joint pain, colds, flu, heart disorders, digestive problems, insomnia, liver problem, sinusitis, ulcers and yeast infections. This herb contains allicin, allyl disulphides, calcium, copper, essential oils, germanium, iron, magnesium, manganese, phosphorus, potassium, selenium, sulphur, unsaturated aldehydes, zinc, vitamins A, B1, B2 and C.
Garlic is the best anti-clotting herb. It contains nine anticoagulant compounds. It is a major herb for heart attack avoidance because of its blood-thinning effect and its ability to help control high blood pressure. These same effects also help avoid strokes. Garlic is mentioned in the Bible and the Talmud. Hippocrates, Galen, Pliny the Elder, and Dioscorides all mention the potential use of garlic for the support of many complaints, including parasites, respiratory problems, poor digestion, and low energy. Its use in China was first mentioned in A.D. 510. Louis Pasteur studied the antibacterial action of garlic in 1858. The sulfur compound allicin, produced by crushing or chewing fresh garlic or by taking powdered garlic products with allicin potential, in turn produces other sulfur compounds: ajoene, allyl sulfides, and vinyldithiins. Garlic inhibits platelet stickiness (aggregation) and helps support the increase fibrinolysis, which results in a slowing of blood coagulation. It is mildly antihypertensive and may have antioxidant activity. Garlic's cardiovascular supportive effects were illustrated in a four-year clinical trial on people 50-80 years old with atherosclerosis. It was found that consumption of 900 mg of a standardized garlic supplement helped support the reduction of arterial plaque formation by 5-18 percent. Ginkgo biloba is used to releive symptoms of a stroke. 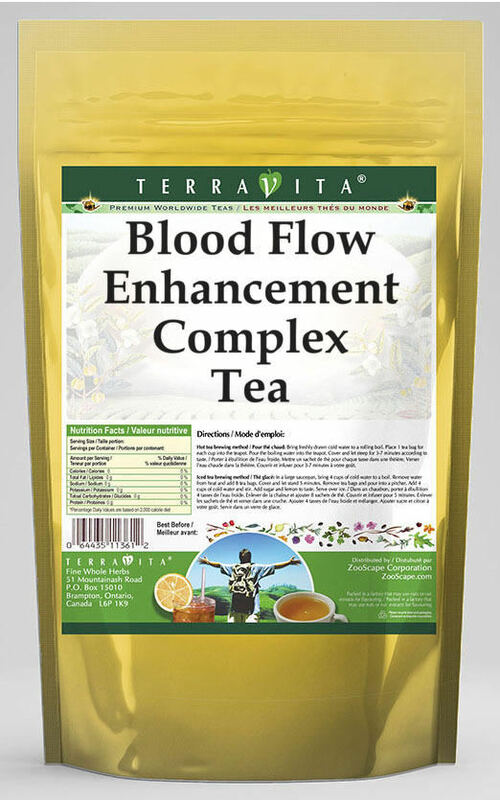 It helps to avoid blood clots from developing and helps support the increase blood flow to the brain. This herb has also been shown to inhibit free-radical formation. Ginkgo biloba is the world's oldest living species of tree. Individual trees live as long as 1,000 years. Ginkgo grows most predominantly in the southern and eastern United States, southern France, China, and Korea. The leaves of the tree are used in modern herbal approaches. Ginkgo is widely used in Europe to help supportcomplications of stroke, including memory and balance problems, vertigo and disturbed thought processes. Many studies show that this herb increases blood flow to the brain. Ginkgo also helps reduce fragility of the capillaries. (Capillaries are the tiny blood vessels that fan throughout your body.) This can help avoid hemorrhagic stroke. European physicians often prescribe an extract of ginkgo leaves for stroke survivors. Many doctors say that ginkgo fights the stroke and, more importantly, it is nontoxic. The medical benefits of Ginkgo biloba are attributed primarily to two groups of active constituents: the ginkgo flavone glycosides and the terpene lactones. Ginkgo flavone glycosides, which typically make up approximately 24 percent of the extract, are primarily responsible for antioxidant activity and may mildly inhibit platelet aggregation (stickiness). These two actions may help ginkgo biloba prevent circulatory issues, such as atherosclerosis, and support the brain and central nervous system.